Google to store your data encrypted? Yet another Google story (!) – this time Google have announced that they have bought Writely – I wrote about Writely previously, Writely is a browser-based word processor with all kinds of Ajaxy, starring, tagging and RSSy goodness! This further strengthens Google’s hand in their ambitions to have everyone save all their info on Google servers. 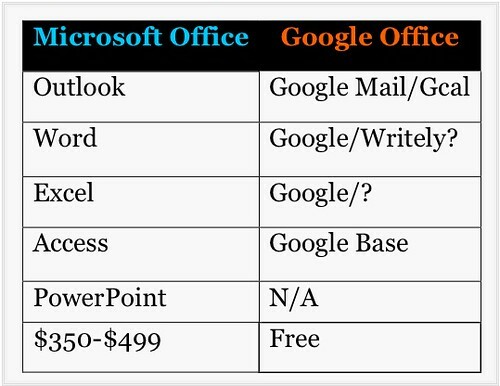 Another key difference between Microsoft’s Office offering and Google’s offerings is that you save Microsoft Office documents on your computer (or the office LAN) primarily, whereas with Google’s offerings, you save on their servers so your documents are available to you wherever you have an internet connection. Of course the downside of the data being on Google’s servers is the loss of privacy. If information is on your computer at home (tax returns, love letters, business records, financial/bank details medical files, etc. 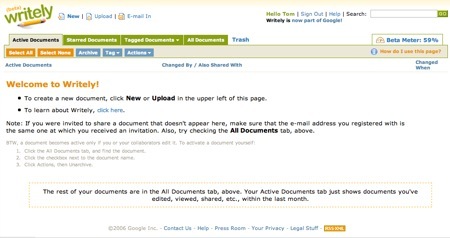 ), a search warrant is required to access it – if it is on a Google server, a subpoena is all that is required to get your information and there is no requirement on Google to notify you of that subpoena before the information is handed over! If Google were to stand by their motto of doing no evil, they should encrypt your data and store it encrypted on their servers with only you having the private key to unencrypt it. No subpoena is required in Ireland. The police need only request, for example, your Gmail inbox contents, and away it goes. Thanks for the clarification Simon. Am I correct in thinking, though, that a warrant would be required to examine the contents of your pc? I don’t think anyone can seriously compare Microsoft’s Office package with a couple of Ajax applications, most of which are pretty barebones in terms of functionality, user experience, and maturity. Comparing something like Word to something like Writely is like comparing an elastic band to a rocket ship. I think you are right up to a point – sure all the online apps are missing huge swathes of functionality which is present in MS Office (i.e. 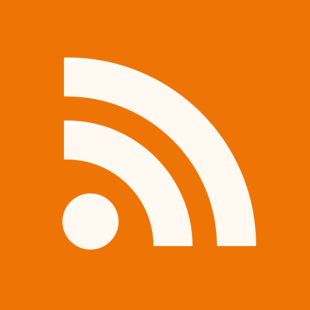 inserting a table of contents) – as against that, the online apps have things like online storage, tagging and rss which are not available in standalone apps so you are correct, it is not a fair comparison. I thought further about this during the day and have changed my opinion (somewhat). I don’t think that Google are trying to create an Office killer – although I don’t think they have the capability to do so even if they wanted to. Microsoft have far too much of a head start for that to be feasible. I think that the recent Google purchases all lead to GDrive. The problem for Google is that unless they help you actually create and maintain content online, you’ll have little reason to store it online with them. For Google, the number one task is surely to tie users in more than search alone allows. Had a bit of a headscratch about this, and consulted with knowledgable sorts. A warrant is required to physically enter your premises. But if your laptop was in for repairs, let’s say, and therefore out of your house the collective headscratchers can’t see any reason that the police would need a warrant to examine the contents of your PC. If any of your readers have a legal citation that would suggest otherwise, I’d be very interested in it. @Derek, I think you are spot on with the Gdrive analysis – Google do want to give you as many ways as possible to store everything online. And while this is very convenient, I’d prefer to see this done using PKI encryption – this would mean no-one could acces my information on Google’s servers (Google included) except me. Not likely to happen, but that’s what I’d like to see – no evil and all that! @ Simon – You are kidding, right? The police can examine the contents of my laptop without a warrant if it is not in my house? Can they also examine my car, my luggage, my wallet, my mobile (with all its records of SMSs, address book, call records, etc.)? Warrant focus on physical invasion. Information held digitally isn’t generally recognised as a physical item. Therefore accessing it isn’t covered by the same protection as your house, or even other physical assests. Have I mentioned that Digital Rights Ireland is accepting donations? And there are T-shirts available if you like to get something to tell other people about DRI as well. Oh, and by the way, your call history, and a record of your physical location for the last few years is already stored on the government’s behalf by your mobile phone company. They don’t need a warrant to get at that, either. They just ask. And if the info is encrypted – can you be compelled to provide the key? Simon – fyi – I have it from another legal source that he *thinks* you can only be compelled to hand over keys or passphrases for encrypted information by court order in a non-criminal setting.